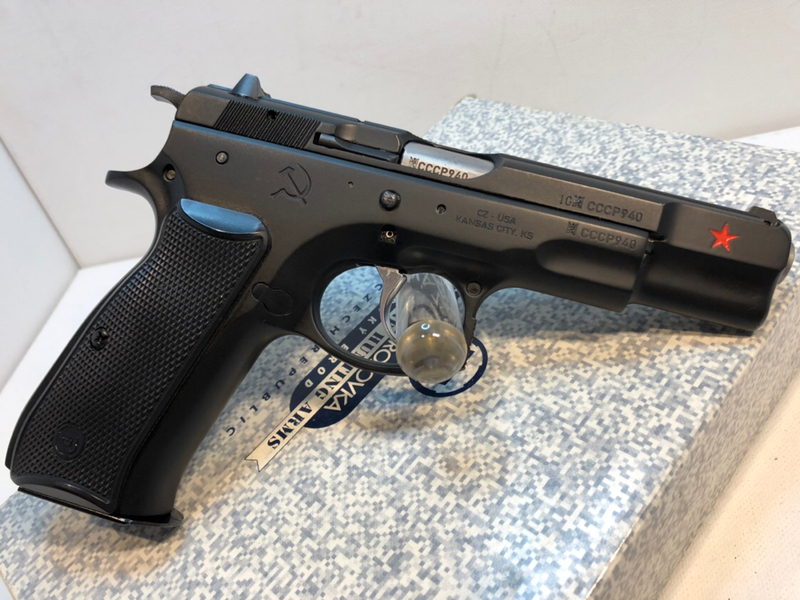 Here is a very nice CZ-75B Cold War Commemorative Model with the Russian roll marks, star and hammer and sickle. This is one of the original 1000 units made NOT the reissue. This pistol is in near mint condition and comes with the factory hard case and serialized outer cardboard sleeve. Less than 300 rounds through the tube. Great collector item. Asking NOW $875 (was $925) shipped or $825 local pickup in Chicago western burbs. I have A+ rating with 66 transactions in GB.